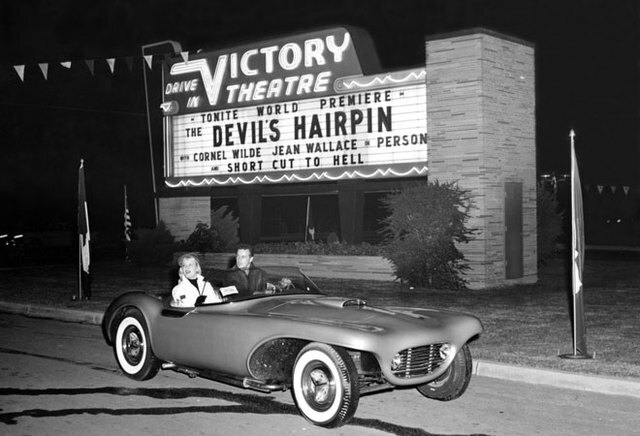 May 25, 1949 the Victory Drive-In opened at 13037 Victory Boulevard in North Hollywood slightly west of Coldwater Canyon on the North side of the street. William Oldknow was the developer. Doris Day and former Los Angeles Mayor Fletcher Bowron were present for the ribbon cutting. Advertisements for the drive-in touted plentiful baby sitters and bottle warmers so adults could enjoy a flick from their car for $.65 and free admission for children under 12. Residents in the homes along Coldwater Canyon between Oxnard and Victory recall being able to watch movies from their front lawns. During the 1950s the strip of Victory Boulevard going towards Laurel Canyon had particular importance besides being in the Grant High School district (go Lancers). 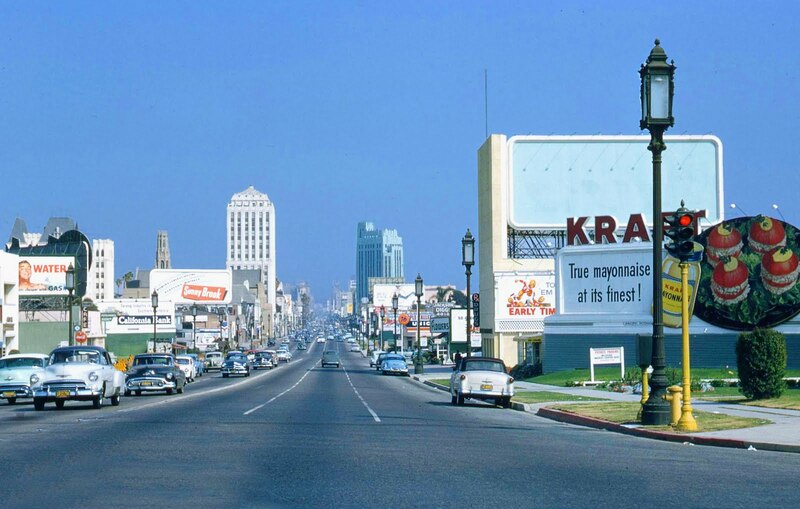 This section of North Hollywood was known as Little Israel. Besides serving as the latest path for American Jewish immigration from New York to Boyle Heights, it also hosted the largest continuous area of malls spanning from J.C. Penney to the west of Laurel Canyon on the North side of Victory to Sears on the corner of Laurel Canyon going north to where Smart & Final is today and South towards the May Company (eventually Laurel Plaza) and east to the storefronts east of Laurel Canyon on the South side of Victory Boulevard. 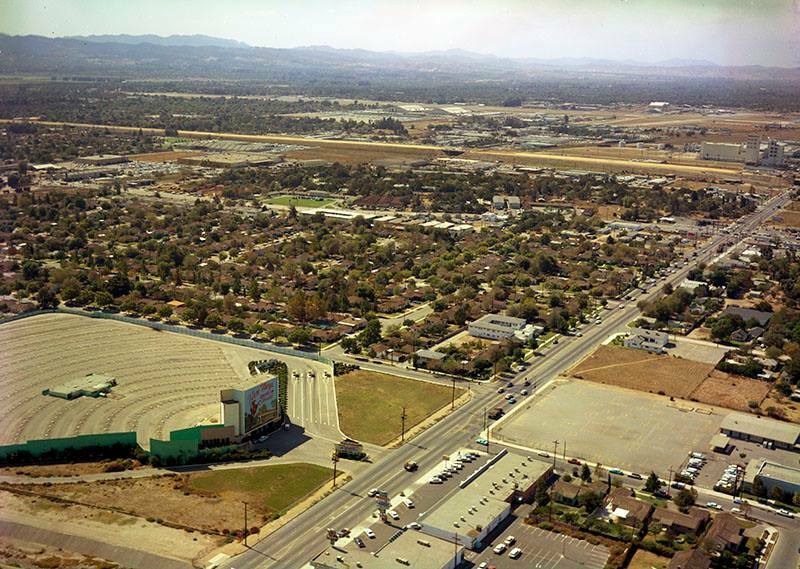 The more than 12 acre site that accommodated 650 cars, showed its last movie Bound for Glory on February 13, 1977. The manager since opening claimed vandalism, 25,000 window speakers stolen over the years, insurance rates, and property taxes were the reasons for closure, but admitted the closure was to make room for a new shopping center. 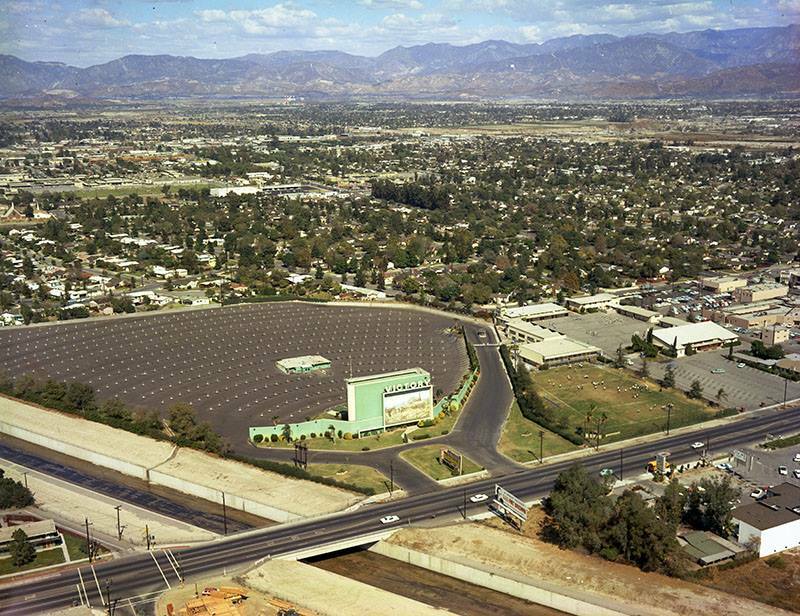 The site became a large shopping plaza with a private road over the Tujunga Wash. The first buildings were finished in 1978 and the others in 1979. The author recalls Lucky’s Market (now Vallarta Market), Chicken Shirt (a place for custom, groovy iron on tee-shirt designs), a Hallmark store, Radio Shack, and Savon were amongst the original tenants and tends to recall the health club came slightly later. 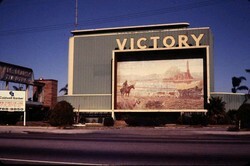 Today the shopping center is called Victory Plaza. We look forward to recollections, in the comment section, of shenanigans at the Victory Drive-In. Apparently management developed a sick sense whether a teenager was hiding in the trunk, and expected vandalism if a violent film were shown. The Dorothy Chandler Pavilion is about to turn 50!